With the likes of War for the Planet of the Apes, Spider-Man: Homecoming, Dunkirk, and Valerian and the City of a Thousand Planets on the way, we still have a ton of potentially awesome movies to look forward to this summer. 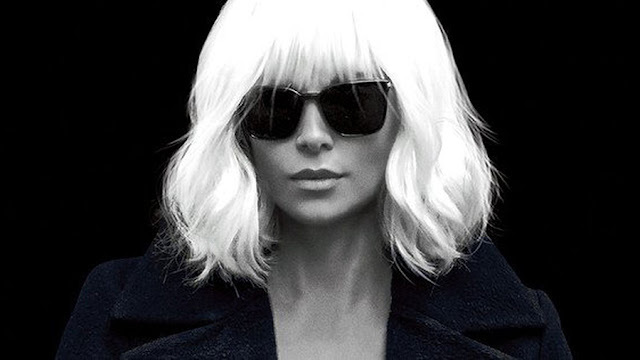 One of those I’m most excited for, however, is Atomic Blonde, which just dropped an action-heavy new Australian trailer. Check it out after the jump. From director David Leitch (half of the duo behind John Wick), when Atomic Blonde debuted at SXSW earlier this year, a bunch of people sounded bummed it’s more Cold War espionage thriller than Lady John Wick. Don’t get me wrong, I would watch the hell out of that—and judging from this trailer, Charlize Theron definitely has the opportunity to pummel quite a few people—but I’m super into that idea. Based on the graphic novel The Coldest City, Theron plays a British intelligence operative dispatched to the Berlin on the eve of the Berlin Wall coming down to investigate a murder and root out double agents. In addition to Charlize Theron, Atomic Blonde has an epic cast. The credits include James McAvoy, Sofia Boutella, John Goodman, Toby Jones, Eddy Marsan, Bill Skarsgard, and a who’s who of badass stunt performers. We’ll have to wait and see if Atomic Blonde is as good as it looks or if the initial reactions hold true. But it won’t be that long until we find out as it arrives as it hits U.S. theaters on July 28. In the meantime, we have a few things to keep us occupied.